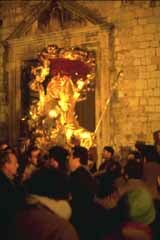 This is the oldest and longest -standing procession in Umbria, dating back to the Middle Ages. 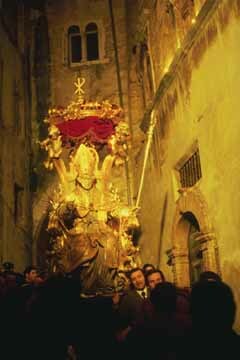 From time immemorial on the evening of 27th JANUARY at 6.30pm, the procession winds its way along the torch-lit streets, the statue of the Patron Saint Emiliano preceded by cerei or floats prepared and organised by the local businesses and workshops (once the local guilds and artisans. The procession route has remained unchanged since 1264.